I hope you had good life and good rest during the months of December and January. I would like to show two interesting photos I took on December 22 and 33 of 2018. 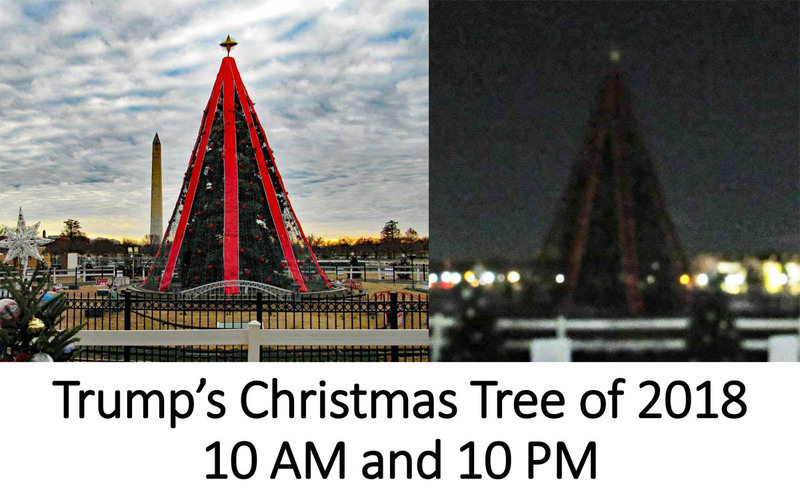 Click here for the White House Christmas trees in earlier years. The government of the United States could not supply electric power to light the Christmas tree at the White House. The government was shut down because American politicians could not agree on Donald Trump's plan to build the "Great Wall" along the southern border of their country. Albanians interested in how Americans run their democracy, at the CDG Airport in Paris (1999). In spite of this set back, nobody is saying American democracy is dead. It is strong and will remain so, largely because it is driven by a two-party system. Indeed, the American form of government is admired by most of, if not all, by the people throughout the world. Here is my photo of Albanian government officials who were going to Washington to study how the U.S. government works. This photo was taken at the GDG-Paris Airport in 1999. They became impressed when I told them the distance between the White House and the University of Maryland is only 20 kilometers. I am not in a position to talk more about the forms of government. Let us talk about physics. The physics world is driven by the two-party system, namely relativity and quantum mechanics. Our ultimate goal is to find the harmony and/or synthesis of these two distinct physical principles. 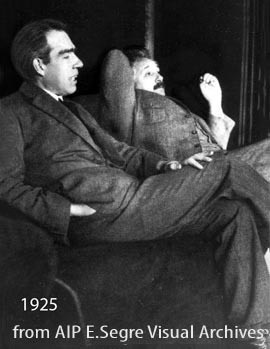 One hundred years ago, Bohr and Einstein met occasionally to discuss physics. They were looking at the world in two different directions. As you know, Einstein was interested in how things look to moving observers, while Bohr was worrying about why the energy levels of the hydrogen atom are discrete. Do you know whether they ever discussed how the hydrogen atom looks to moving observers? If they did, there are no written records. for a table summarizing of the efforts made by Dirac, Wigner, and Feynman. The question is whether they can be combined into one physical discipline, either with harmony (ala Bohr) or with synthesized (Einstein). Let us go back to the story of Washington. Everybody knows the city of an Francisco is in the state of California. Did you know the city of Washington is in the state of Maryland? The "Greater Washingtnon Area" includes a large chunk of land inMaryland. This is the reason why the UMD campus is so close to the White House. 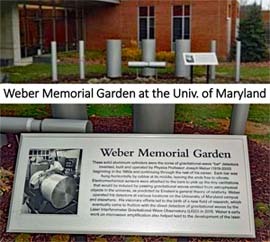 Weber Memorial Garden created in 2018, in front of the UMD Physical Science Center. Did you know that American politicians and foreign diplomats constitute only a tiny minority group in this Washington area? There are more (perhaps more than 100 times) scientists than politicians. When I came to the Univ. of Maryland from Princeton in 1962, it was a transition from heaven to hell. My friends at Princeton were nice enough to give me a farewell party. It was a funeral service. However, according to the recent ranking of graduate physics programs reported by the U.S.News, the Univ. of Maryland is No. 10 among the universities in the United States. How about Princeton? Their physics program is No. 7. Thus, I came down only three steps, instead of heaven-to-hell. 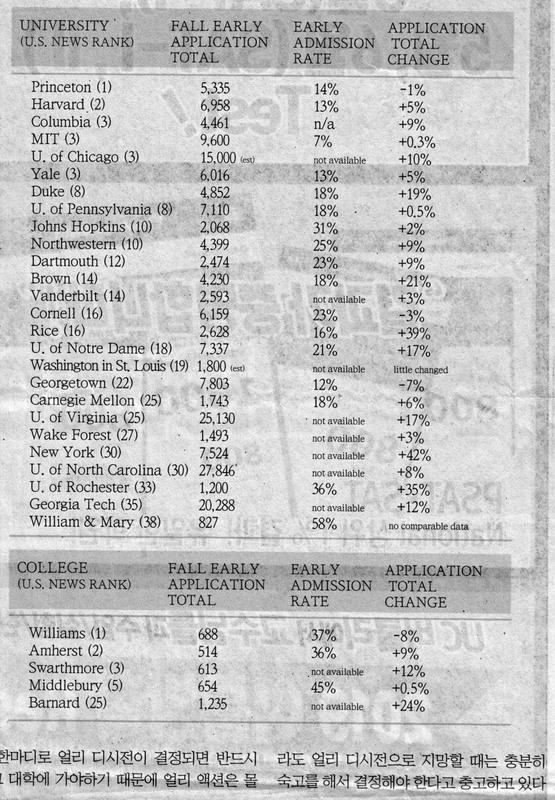 Among the high-school students who plan to go to colleges, Princeton is still No. 1, according to the same ranking agency. These days, the physics program is not an important variable. The dormitory life style is one of the important factors for those young people in deciding where to go. Princeton has a beautiful campus. Of course, it is up to you how seriously you would take those rankings. In my case, I do not. Those rankings are largely based on statistics, including number of papers published, the amount of research grants, so on. Princeton's coming down to No. 7 could be due to the evaporation of the Einstein effect, but I am not in a position to spell out my opinions. On the question of how Maryland moved up so high can be explained in terms of its environment. Washington is a city of scientists, even though those (small number of) politicians appear often on TV screens. The question is why I do not take those rankings seriously. There are factors which are not included in the statistics. The Joseph Weber's career is a case in point. 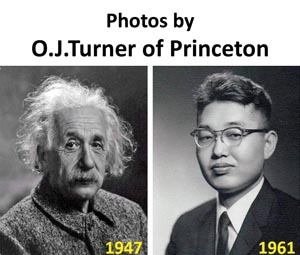 You all know his pioneering work in detecting gravitational waves. 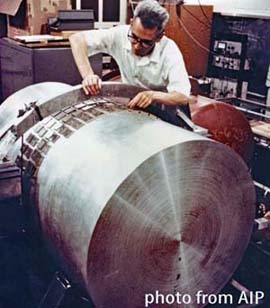 In 1955, he started building antennas sensitive enough to detect the gravitational wave, but everybody, including his departmental colleagues, thought he was crazy. He as totally isolated from the entire physics community. Yet, the Univ. of Maryland allowed him to continue his research. I am mentioning Joe Weber because my experience at the Univ. of Maryland is very similar to what Weber went through. Occasionally, Weber came to my office to talk about the research environment. 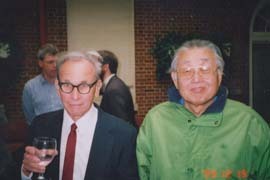 He told me he was able to continue his research only because he was at the Maryland, and nowhere else. I agreed with him because I was in the same situation. I should not talk too much about myself, but I could produce this webpage only because I have been at UMD, and nowhere else. 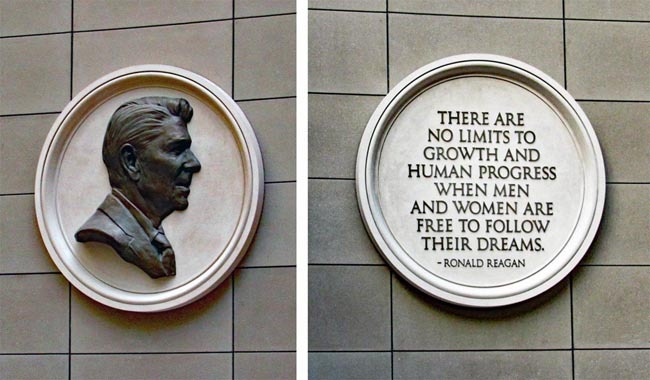 Among the recent politicians who made their names in Washington, Ronald Reagan is worth mentioning. What does he have to do with physics? He was a movie actor with a very humble family background. An actor or actress becoming the president of the United States was totally unthinkable. Thus, reporters once asked him how he became the president with his acting background. Reagan's reply was "how can anyone become the president without acting background?" I sometimes get into arguments with philosophers. They tell me I only know physics and nothing else, while philosophy covers everything. I spent some time to study Kant, Hegel, Nietzsche, Russel, and others in order to define Einstein's coordinate among the philosophers. I am wondering how those philosophers wrote their books without mentioning physics. Thus, I can ask my philosophy friends how they can do philosophy without physics background. Karl Marx seems to have the correct view toward philosophers and physicists. 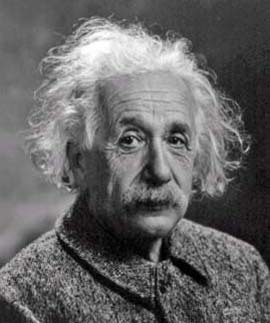 According to him, philosophers talk while physicists change the world. We all know how Newton, Maxwell, Einstein, Bohr, --- changed this world. 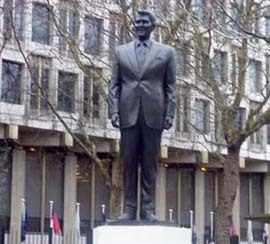 As a professional actor, Reagan knew how to act like a king. For this reason, he was very popular among Americans. There are many places named after him. Washington's airport is called Ronald Reagan National Airport. 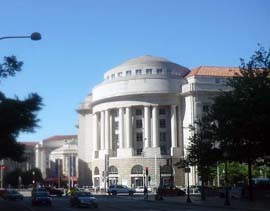 Near the White House, there is a giant building called International Trade Center. Ronald Reagan's name is attached to this building. Let us see what Reagan says in the main lobby of this building. While he was a member of the UMD faculty, Joe Weber enjoyed his freedom as specified by Ronald Reagan. So did I.
I have been in the Washington area since 1962. My Washington story could be endless. Let me stop here. You are invited to my Washington page containing many interesting photos. I keep adding them. copyright@2019 by Y. S. Kim, unless otherwise specified. His magazine. He likes tell you stories.